Come see why the fully renovated Heroes Sports Bar & Grill was voted "Wichita's Best Sports Bar & Grill." 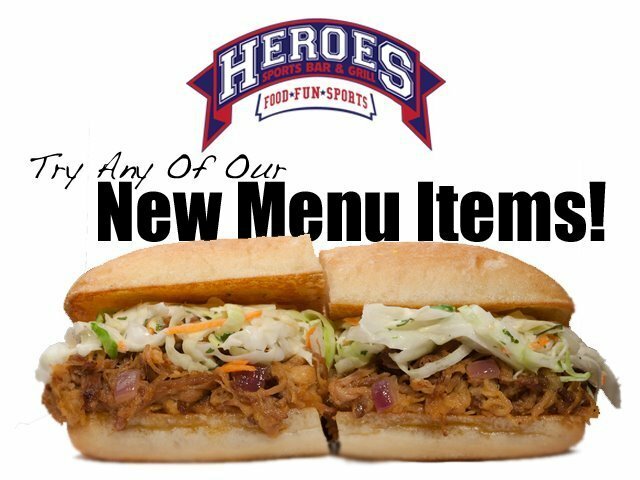 Located in Wichita's historic Old Town, Heroes is where people of all ages gather to watch their favorite teams on HD TV's and enjoy a unique dining experience. We hand-form all our burgers and grill them smash-style for optimum juiciness! 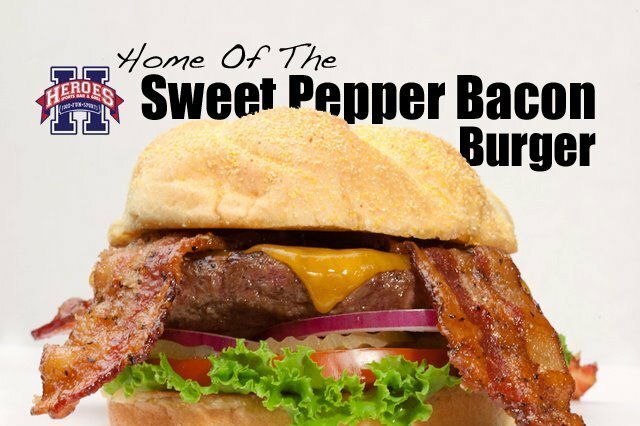 Try our famous Sweet Pepper Bacon Cheeseburger or any of our fresh daily specials! Heroes is open to all ages during the week for lunch, dinner, and evening dining. Heroes becomes a popular 21+ late-night destination on Friday and Saturday nights after 10pm with drink specials, live music, DJ's, dancing, and more. Free wireless Internet, live music, happy hour specials, all day drink specials, sporting events parties, reservations accepted, and ready to serve you 7 days a week! Heroes, Old Town's Original Sports Bar & Grill.